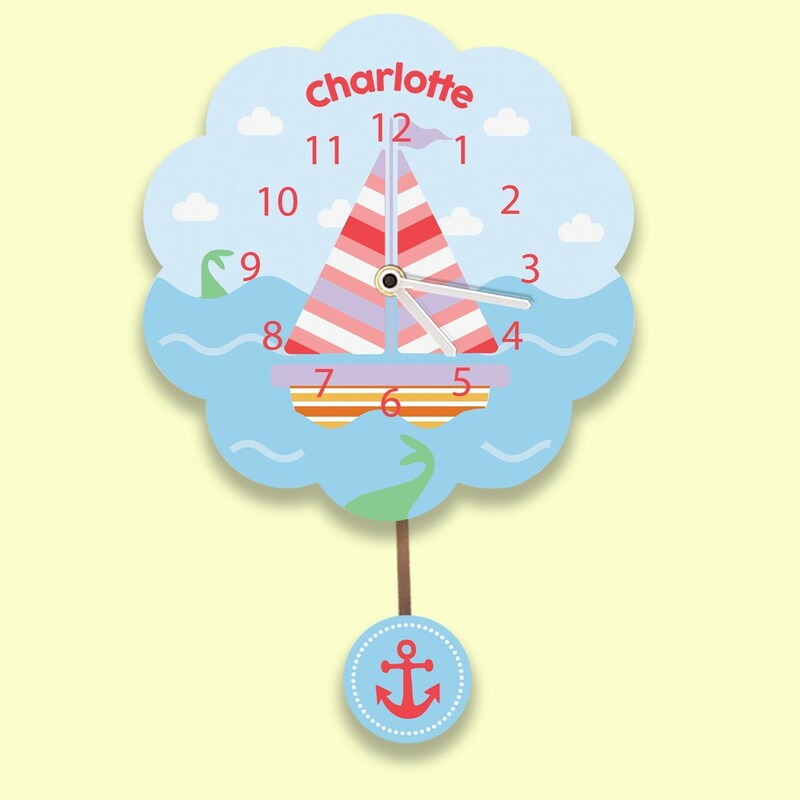 Little girls can sail away to dreamland with a silent tick wall clock. The soothing pendulum swings from side to side as the cute little sail boat bobs along the rolling waves. The pastel colours of the boat will compliment any little girls room or nursery, and as she gets older, she will love to learn the time with it. An anchor swings below the sea and the child's name is featured in a curve above the sail boat. There is even room for two first names if the children share a room. It is designed and made in the UK and features a quality German Quartz movement which compliments the quality of the British design and manufacture. Our silent clock makes the perfect gift for a little girl celebrating any special occasion such as a first birthday, Christening, Dedication or Confirmation. It also makes an unusual and helpful gift for a child who is starting school. Other designs are available.